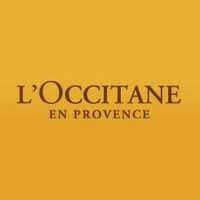 Almond ingredients of 100% Haute Provence origin--reflecting L'Occitane's commitment to help rebuild the presence of the almond tree in the landscape of Provence. I always think that toiletries are something that you can treat yourself too and then feel like a queen when using them. this soap lather s to a creamy lather but is also great for giving yourself a bit of a gentle scrubbing. My hands always feel a but dry and chapped after gardening and a good wash with this gets rid of excess dirt and also gets rid of dead cells and makes my hands ready for their handcream pampering. I also use this in the bath/shower for a bit of an exfoliation and it does a good job. the smell is lovely floral and fresh yet creamy too. Smells gorgeous of almond flowers and I love the ground bits as my hands often get neglected when exfoliating. 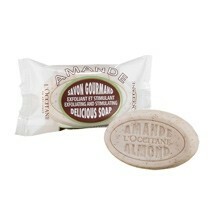 I absolutely love this soap,i really love the almond scent so this was a must for me. The bar smells beautiful and comes in amazing quality packaging. I absolutely love soap now, well soap from L'Occitane. An easy to use soap that leaves skin really soft. Has a gorgeous honeyish fragrance, not quite like almond but similar. More creamy and warm. Does not dry the skin out at all and is a pleasure to use. What a beautiful little soap this is. Made from natural almond mile and proteins with a vegetable base this soap is so gentle and naturally moisturising on the skin. He soap is a light pinky white colour and is infused with crushed almond shells for natural exfoliation. The shells do not scratch the skin but are quite course so a little caution as advised. This is classed as a hand soap but try as I might I simply cannot see the benefits of using an exfoliating soap on the hands. Yes…you can hold this and exfoliate the backs of the hands but I find it far more effective on the body. This product has an easy hold shape however; when your hands are wet this can be a little tricky to keep a grip on so it is a good idea to use a wash mitt to hold it. The fragrance is difficult to describe and was not what I was expecting. It does not smell nutty but it has more of a sweet honey fragrance which of course is the essence of sweet almond tree blossom. It is subtly floral but beautiful .When in contact with water, like all L’Occitane soaps, the lather is thick and creamy and actually acts as a moisturizer on the skin. It contains no mineral oils, sulphates or chemicals which strip the skin of its natural oils like standard soaps. After bathing your kin feels energized, smooth and very soft and moisturized. The soap is hard pressed so it never disintegrates or turns mushy in your soap dish. You will not believe how long this small bar will last. "I always think that toiletries are something that you can treat yourself too and then feel like a queen when using them. this soap lather..."